Determine the date of the satellite image. 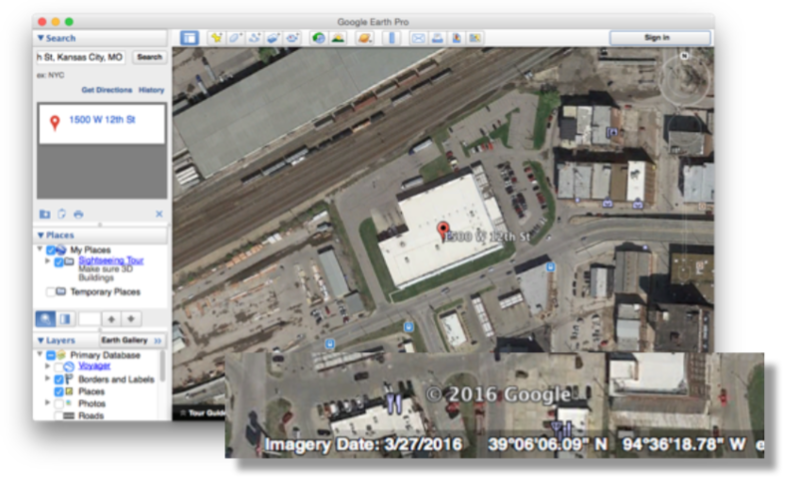 The default satellite image in HelioScope is the current image from Google Earth Pro for Desktop. 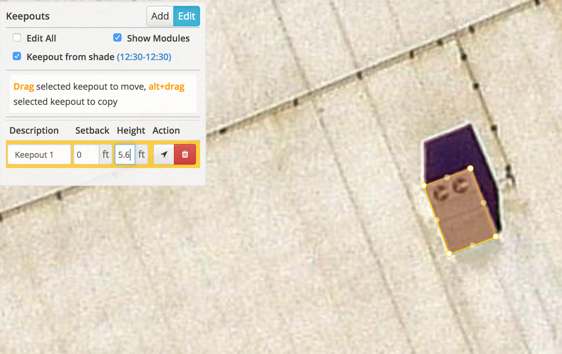 Enter the project address in Google Earth and note the “Imagery Date” at the bottom of the page. If your location doesn't use current imagery, you can select older images in Google Earth to match HelioScope. 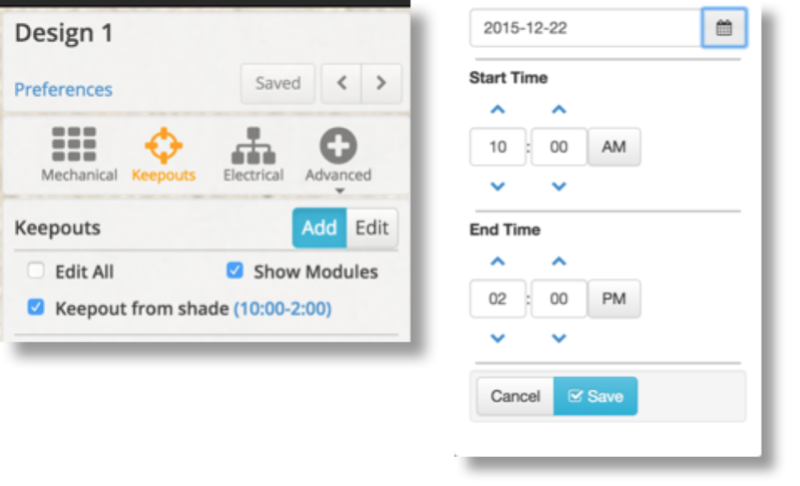 Set an initial height of the Keepout: Add a Keepout around the object based on an estimated height. This is will create a reference shade pattern in HelioScope which can be compared to the shadow in the satellite image. 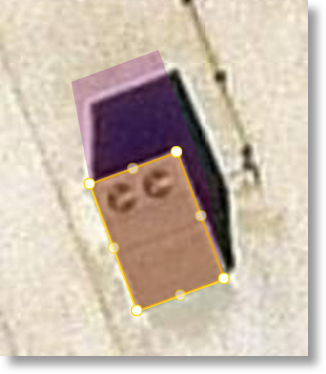 Adjust the height of the Keepout: Using the shadow from the Keepout as a guide, adjust the height of the Keepout until its shadow lines up with the shadow in the satellite image. The height of the Keepout now accurately reflects the height of the real life object. A note on modeling trees: if the image was taken during a time when a tree has no leaves, be careful to estimate the additional area the leaves will take up.